Item # 276039 Stash Points: 1,295 (?) This is the number of points you get in The Zumiez Stash for purchasing this item. Stash points are redeemable for exclusive rewards only available to Zumiez Stash members. To redeem your points check out the rewards catalog on thestash.zumiez.com. 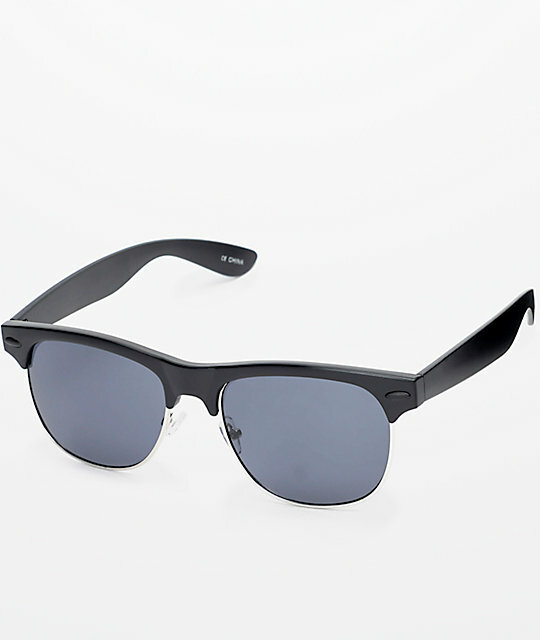 Great retro styling to match your dad wear, the Temple Retro Black and Silver Sunglasses keep things classy. The glasses have durable black plastic frames with silver around the lenses. The dark tinted lenses are fit with 100% UVA/UVB, functionality to an all around sleek design. 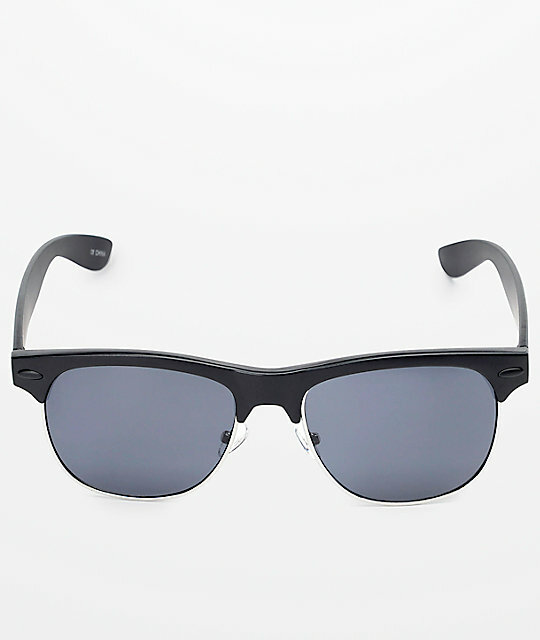 Temple Retro Black and Silver Sunglasses. Durable black plastic frame with silver around the lenses.